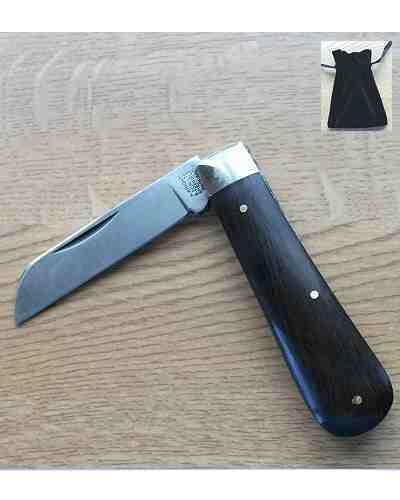 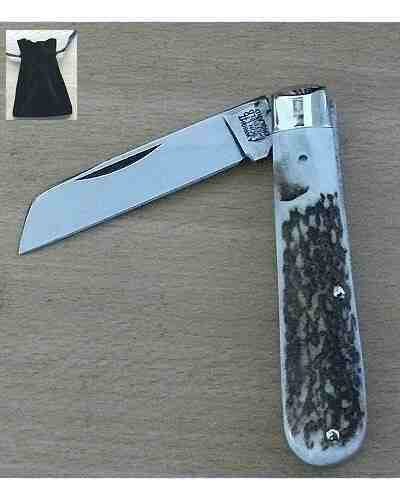 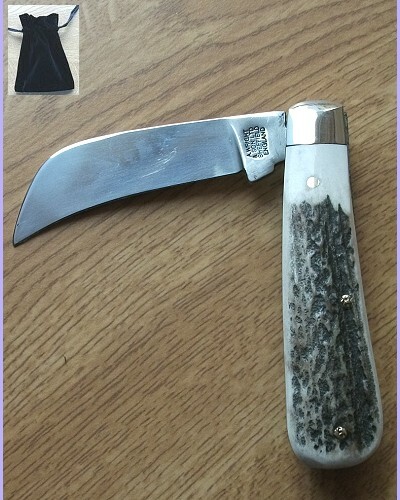 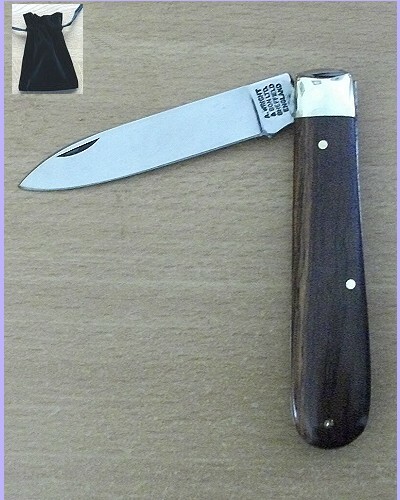 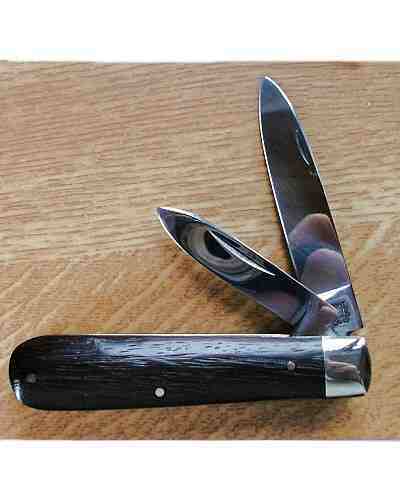 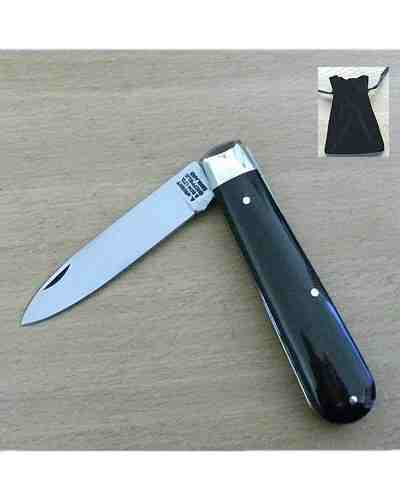 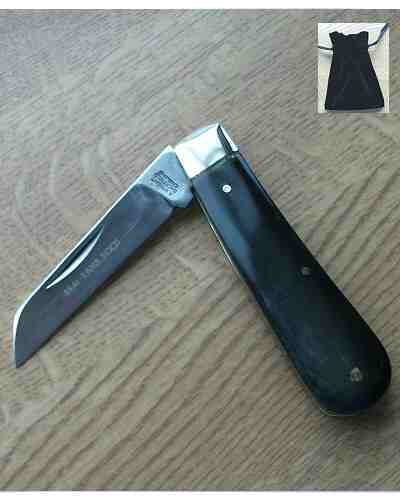 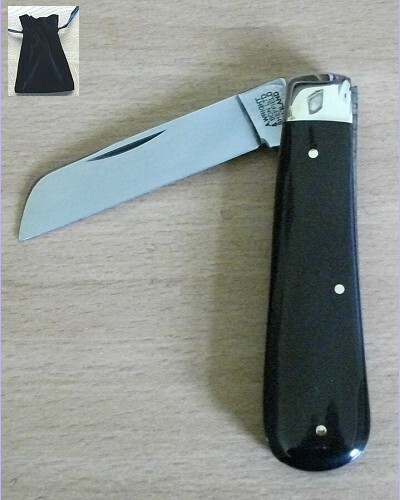 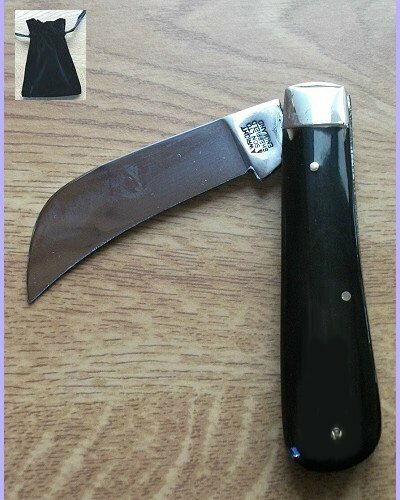 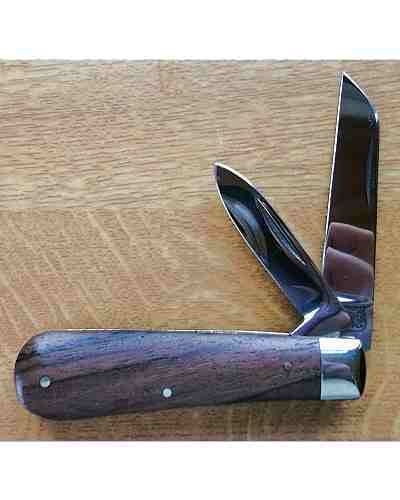 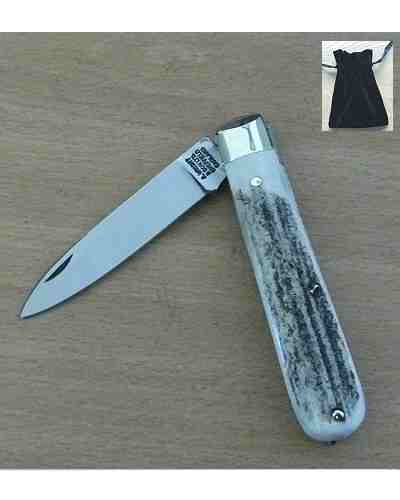 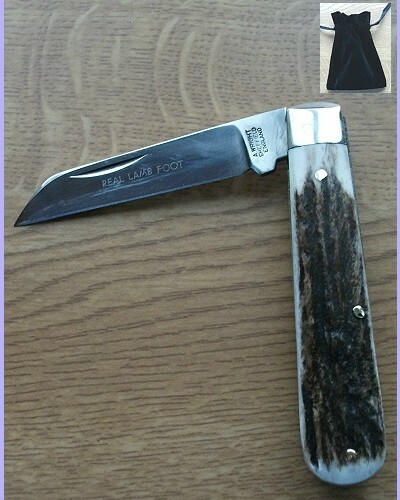 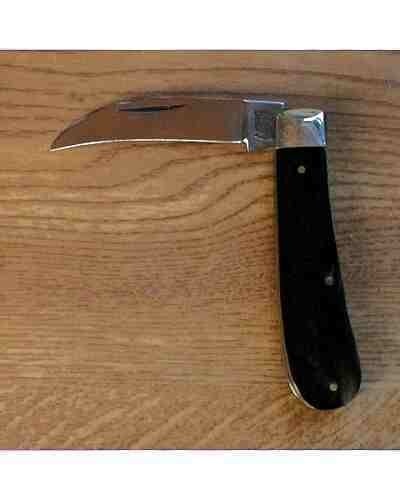 Ettrick blade pocket knife with Buffalo Handle. 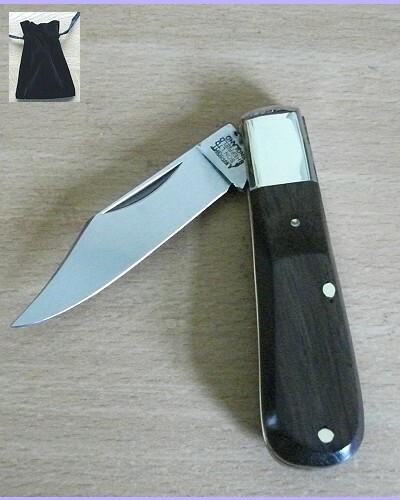 Optional Gift Pouch. 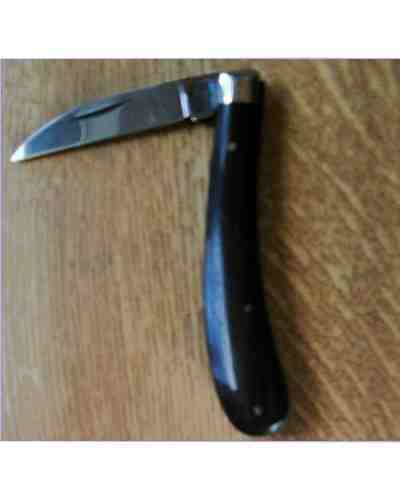 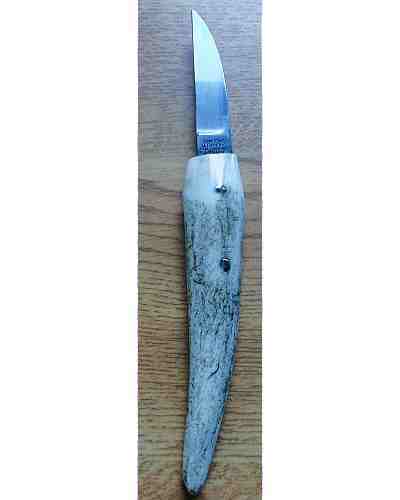 A very handy small bladed pruning knife ideal for budding and delicate work. 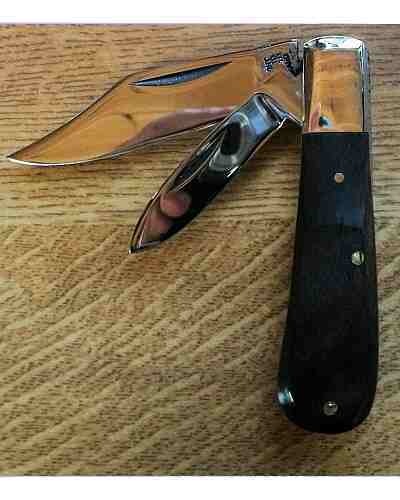 Brass linings on a large, easy to grip handle, nickel bolsters - 60mm blade.